Standard Printing Company, Inc., is a Phoenix-based printer established in 1952 specializing in custom business forms for print brokers and distributors. 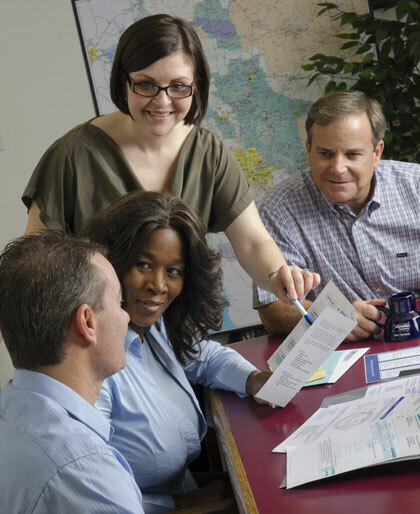 In 1997, Standard Printing expanded its operations by opening its affiliate, Information Outsource to handle the data processing and mailing of statements, invoices and government notices for municipalities, utilities and other specialized industries. We believe our competitive advantage is the hands-on quality service we provide each and every customer. The emphasis on quality permeates throughout the entire organization and impacts every process and procedure we have in place. You’ll experience this immediately. As a Standard Printing customer, you’ll have a dedicated customer service representative who will work with you on every project from start to finish. Located west of downtown Phoenix, Standard Printing is close to major shipping hubs, helping to maximize efficiency while reducing shipping costs.